I came home from class and took a nap woke up and found I had just missed what Channel 8 News called a "running gun battle." This is a photo of a very polite police staff sergeant coming under the police line to ask me to stop taking photos of the crime scene. You can see the marker behind him in the glass. 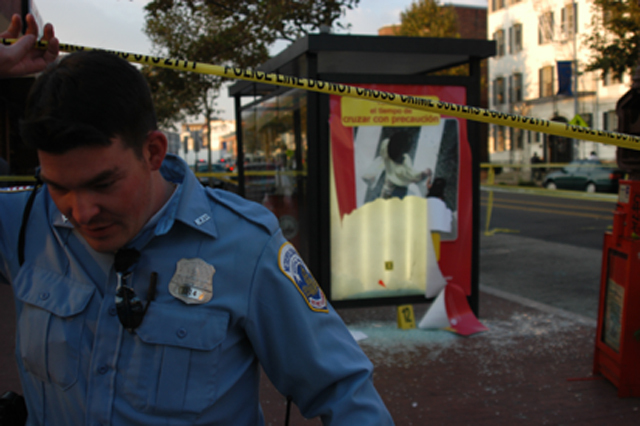 This is the bus stop in front of the Mount Pleasant 7-11 where the gun fight ended 4 blocks later!